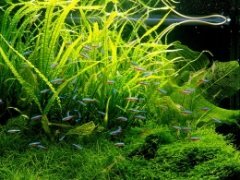 "Aquatic Plants Central wants to bring your attention to the Aquatic Gardeners Association 2006 Convention in beautiful San Francisco, California. This year the convention is graciously hosted by the San Francisco Bay Area Aquatic Plant Society. The speaker line up features Ole Pedersen from the University of Copenhagen, Troels Andersen of Tropica, Jeff Senske (of Aquarium Design Group), Dr. George Batten (Research director of Seachem), Eric Do (ofSFBAAPS), Ricky Cain (of DFWAPC), and the AGA's own Dorothy Reimer!" The convention is from November 10-12, 2006. I wish I could go!